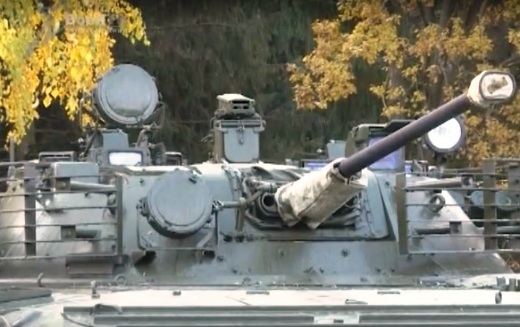 The Army of Belarus has presented upgraded versions of their main armored fighting vehicles such as the T-72B main battle tank (MBT), the BMP-2 infantry fighting vehicle (IFV) and the BTR-80 wheeled armored personnel carrier (APC) as reported by the Russian-language website "Journal of Mordovia". 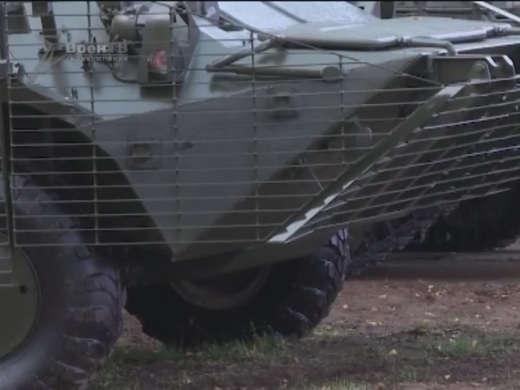 The vehicles are part of the 120th Guards mechanized brigade which was visisted by the Belarusian president/dictator Alexander Lukashenko and a crew from the Belarusian TV channel/show "Arsenal". 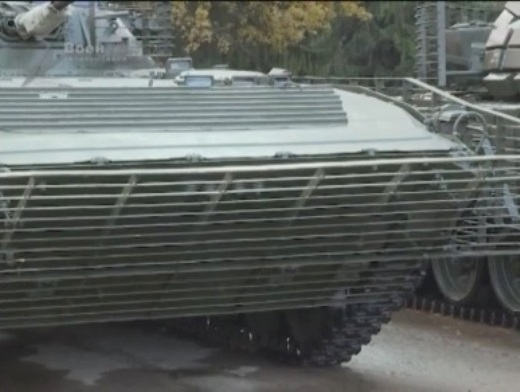 The BMP-2's lower front, turret and sides are fitted with slat armor. 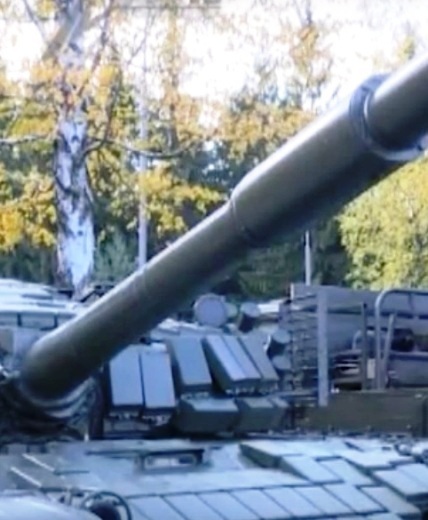 The upgrades consist of additional armor protection in form of slat armor, which is designed to crush the warheads of rocket propelled grenades (RPGs) and hence prevent the shaped charge to form a armor-piercing jet. 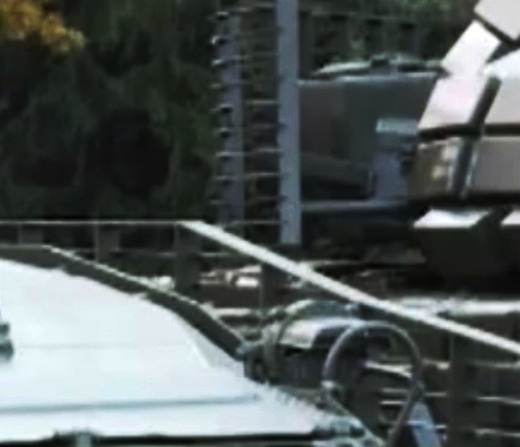 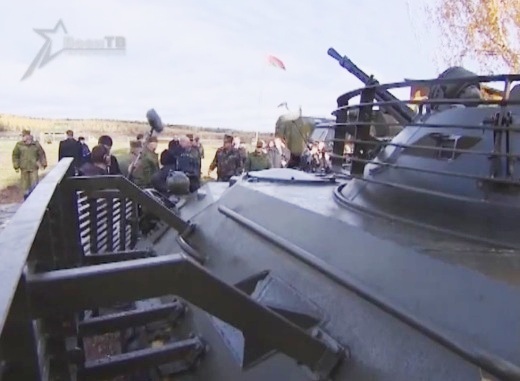 On the T-72B, currently the main tank of the Belarusian army, the slat armor protects the sides and rear of the turret at the places where no Kontakt ERA is mounted.On the BMP-2 and the BTR-80, the slat armor protects the lower front, the turret, the sides and probably also the rear section of the vehicles. 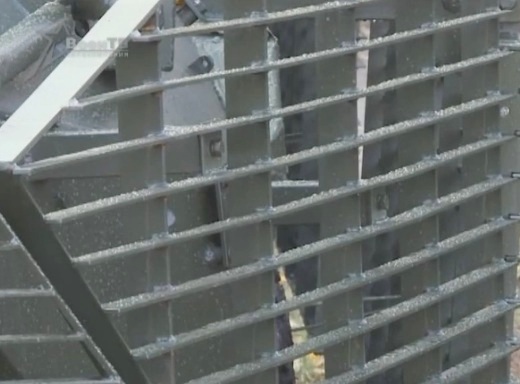 The new slat armor upgrade was developed this year following the poor performance of such vehicles in asymmetric warfare in Syria and Ukraine. 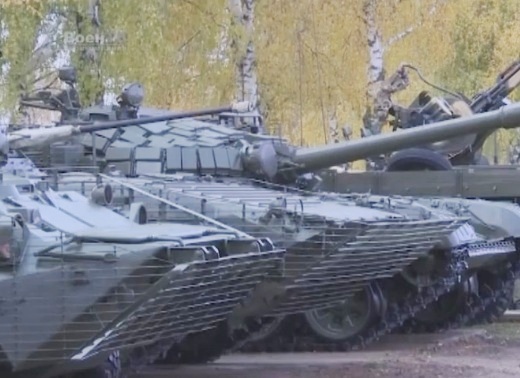 It is not yet known if these armor upgrades will be purchased for the Belarusian army on any larger scale.